Frances works on the books pages of a Sunday newspaper. She’s quiet and capable, but nobody takes much notice: her face is pressed to the window, on the outside, looking in. One evening, driving back to London after visiting her infuriating parents, she comes across an upturned car crumpled on the side of the road. She waits with the injured driver, Alys Kyte, until the ambulance arrives. Later, when Alys’s famous family gets in touch, Frances finds herself for the first time ushered into the world on the other side of the window. And she begins to wonder: what would it take to become a player? Frances feels stuck. Each day, she goes to her dreary, lifeless job as a sub-editor for the book pages of a Sunday newspaper. She is constantly reading about the glamorous life of the literary elite, but she feels invisible, trapped in a dull routine. But everything changes one night when Frances witnesses the tragic death of a driver who has crashed her car – none other than Alys Kyte, wife of the great novelist, Laurence Kyte. When the Kytes contact Frances to hear the story of Alys’s final moments, she finds herself perched on the edge of a life-altering opportunity. With some casual deception, Frances eases her way into the life she’s always wanted, but what is she willing to do to hold on to it? Based on the Harriet Lane’s “chilling and accomplished” debut novel (“The Independent”), “Alys, Always” is now adapted for the stage by the esteemed British playwright Lucinda Coxon, premiering for the first time at the Bridge Theatre. Fans of “Downton Abbey” will be excited to see a familiar face playing the leading role of Frances in “Alys, Always” – Golden Globe-winning actor Joanne Froggatt, known for her portrayal of Anna on the hit television series. Lucinda Coxon has experience with adapting successful novels for an audience. Her most notable work is the adapted screenplay for the critically acclaimed 2015 film “The Danish Girl,” nominated for multiple Oscar Awards and the BAFTA Award for Best British Film. PROMOTION PERIOD. 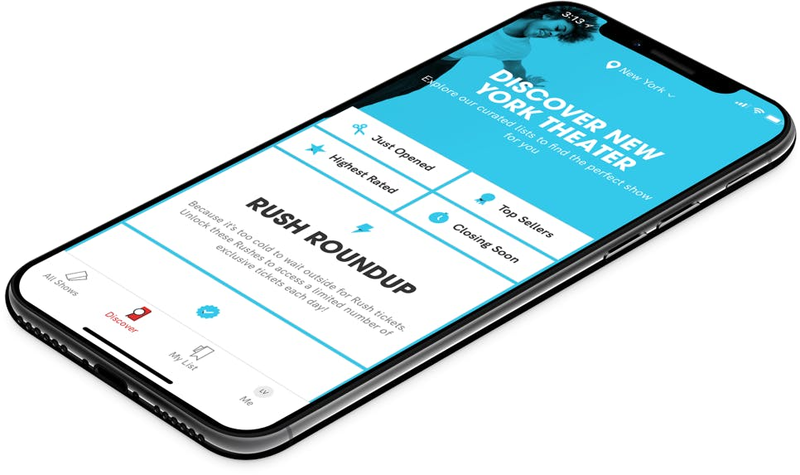 You may purchase up to 2 discounted price tickets for the featured musical/theatrical performance from as soon as these are marketed within the 'TodayTix Rush' section of the app. The closing time/deadline for the purchase of such tickets is either: 1 hour until the featured musical/theatrical performance; or all the discounted price tickets have been sold. In either case the 'TodayTix Rush' section of the app shall not be able to be unlocked from such point until the following date on which discounted price tickets are available for purchase through the 'TodayTix Rush' section of the app. Only a maximum of 2 tickets may be purchased for any particular performance per person.